At the Langstaff location, you can choose from one of the many food stations and enjoy complimentary wifi while you dine in the cafe. As the story goes, John Fortino came to Canada from Cosenza, a town in Southern Italy, at the age of 19. He stopped in Hamilton, Ontario to visit friends on his way to Windsor and never left. In 1961, John opened his first grocery store in the heart of Hamilton. John’s emphasis was on giving his customers fresh, quality foods at competitive prices with unsurpassed customer service. With a few years of experience under his belt, John brought on seven partners in 1972 and was able to open a second location in Hamilton. Today, Fortinos, the Supermarket with a Heart, serves many Ontario communities, with over20 stores from Stoney Creek to Vaughan. 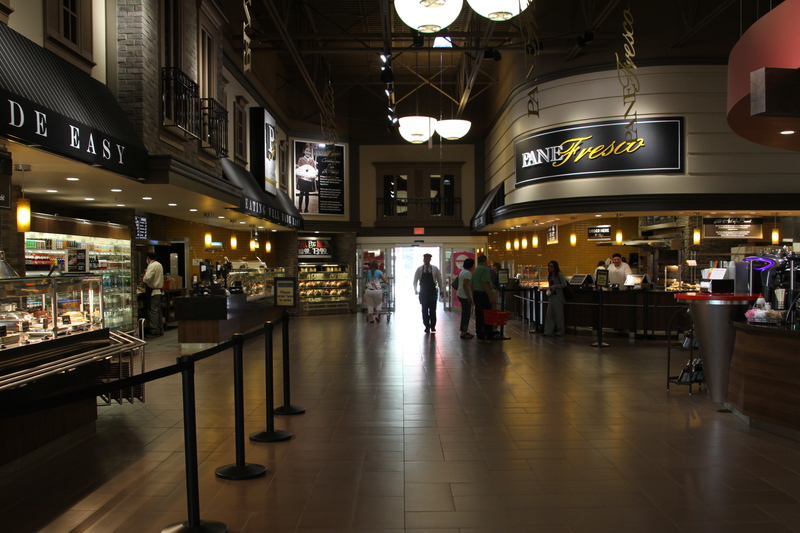 Throughout the years, Fortinos has maintained its emphasis on creating a shopping experience with a sense of exploration and adventure and on offering top quality fresh meats. Each store offers a Butcher Block section, which puts customers in touch directly with the butcher to order special cuts and to learn more about the meat offerings. The Yorkshire Valley Farms team recently spoke with Tony Ciccarelli, Meat Manager at the newly opened Langstaff location in Vaughn. Tony has been with Fortinos for over 20 years. He got into the meat business as inspired by his older brother. Naturally, we asked Tony about his favourite way to enjoy chicken. With four young children, the Ciccarelli household eats a lot of poultry. For Tony, when you start with good ingredients, you don’t need to do a lot. He prefers a baked boneless skinless chicken breast with a little olive oil, salt and pepper. Sounds pretty good to us! 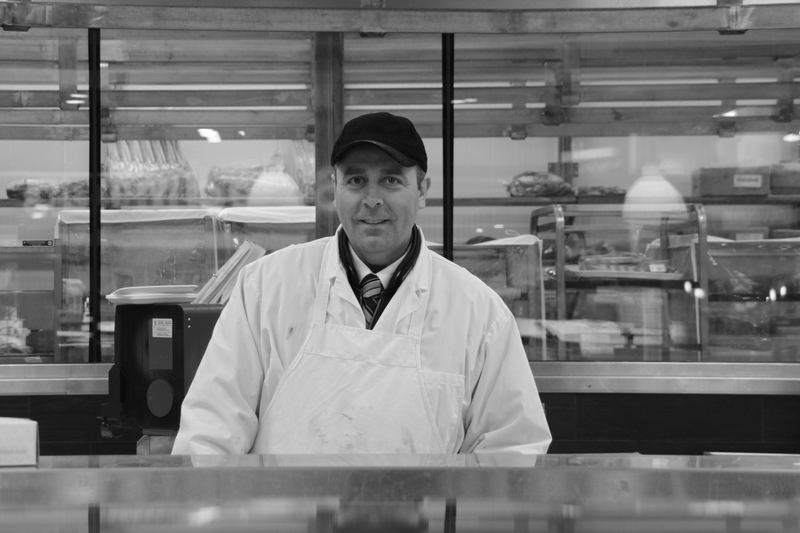 Tony Ciccarelli, Meat Manager at the Langstaff location, has been with Fortinos for over 20 years. Tony takes great pride in not only his work behind the butcher counter, but in his role as a mentor to his coworkers, and as a customer service representative providing his customers with knowledge and guidance as they make their shopping choices. Staff education is an important component of the Fortinos shopping experience. The Fortinos team is continuously learning about their products so that they can better serve their customers. The introduction of more and more organic offerings over the last few years has provided a great opportunity for staff to learn more as the category grows. As Tony told us, “customers are curious, so the staff need to be equally curious”. As a Manager, Tony talked about how one of the most rewarding parts of his role is helping individuals to grow within their area of interest so that they can build a long-term career. Now we understand why Fortinos is known as the Supermarket with a Heart. The new Langstaff store offers more than groceries. Beyond the broad range of fresh produce, meats, dairy, breads and pantry staples, there is a cafe area where customers can sit by the window to enjoy a hot meal. Fresh options are prepared daily at the many cafe stations: coffee bar, wood pizza oven, pane fresco, soup bar, hot foods. There’s even complimentary wifi while you shop or dine. Fortinos stores also organize events to support seasonal or cultural initiatives that relate to the communities they are in. For example, at the end of the summer, the Langstaff store will be bringing in bushels of local roma tomatoes for those keen to preserve. Mark your calendars now, because the tomatoes go fast! 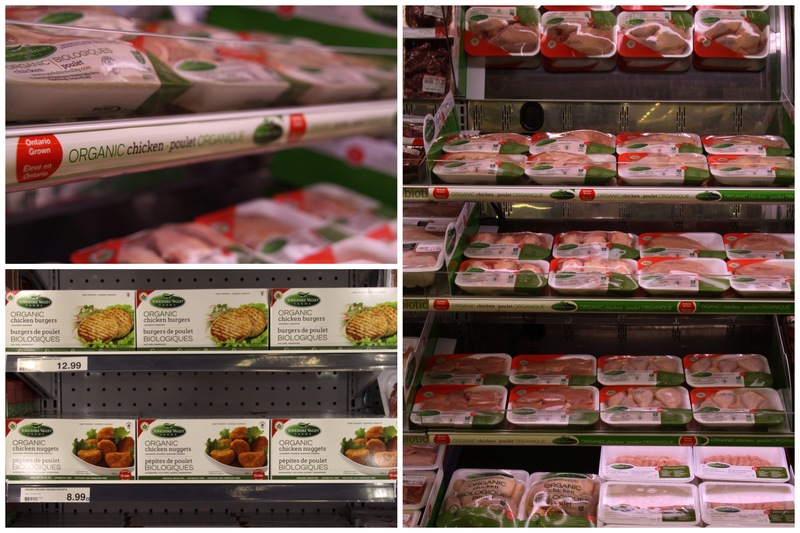 Fortinos offers a broad selection of both fresh and frozen YVF organic products.